Lack of communication can destroy any relationship you have with clients, even clients who you may consider loyal. If you are not actively communicating with a client while their pet is at your practice, it could be hurting you. Take my friend Dan for instance. He is an older gentleman who recently lost his 14 year old chihuahua. Him and his wife finally decided to open their heart and adopt another dog. Of course, with any young pet adoption, the right thing to do is to make sure they’re spayed or neutered. He had been a loyal client of his veterinarian for years, but walking back into the practice with his new family member was difficult and a bit emotional for him. He dropped her off early in the morning and as they requested, did not provide food after a specific time the night before. 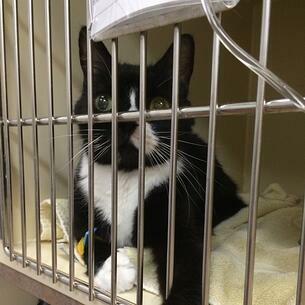 Her spay was scheduled for 10 a.m., and after not hearing back from the practice by 1 p.m., he gave them a call. They placed him on hold and after a few minutes of waiting, he hung up. He tried again an hour later, only to discover that his dog was just now going into surgery. Upset and confused, he said he picked her up later that afternoon and she was shaking. She had not received any food for most of the day. He was angry they waited so late to spay her and didn’t even call him to let him know they were running behind. Dan never stepped back into that practice and said he has since found a practice that he feels comfortable working with because they make communication their number one priority. A client can be loyal for years, but because pets are family members, one poor experience can stop them from ever returning. Bad days happen, human error occurs and emergencies pop-up. Who knows if his dog’s spay was put on hold because of an emergency situation that happened. The issue isn’t really WHAT happened or WHY it happened, the issue is lack of communication. If the practice had notified Dan that his dog’s surgery was being delayed and his dog was doing fine, he wouldn’t have been as surprised. Perhaps he’d have picked her up and rescheduled or he wouldn’t have felt frustrated and angry after having to call them. Technology can help you develop better communication with your clients. Had Dan’s practice been able to text him and/or send him photos of his dog while she was in their care, he may have felt a little more comfortable. Imagine he got a photo of her at noon, sleeping in the kennel with a water bowl provided. At least then he would’ve known she wasn’t being ignored and she was comfortable. Simple things like that help ease the mind of pet parents when they’re trusting someone else with their pet. The practice wouldn’t have to take the time to call Dan, which clearly they didn’t have time to do in the first place. Someone on staff would only have to snap a photo and send a short text to let him know the surgery was delayed a bit, but she was in good care. If your practice is too busy to make phone calls when you’re behind schedule and clients aren’t able to reach you, looking into a technology partnership may be the best decision your practice could make to ensure you’re not losing your loyal clients. Plus, it goes an extra mile by showing you are putting your patients’ care first.